Your investment in alpacas as a business can provide many outlets for revenue: Alpaca sales, fiber product sales, breeding, boarding, farm tours, and manure sales. Alpaca Sales -When you purchase a bred female, she will breed and reproduce almost every year, thus compounding your return on the initial investment. Alpaca Fiber-Alpacas are sheared once a year, providing owners with their most valuable asset – the fiber. The value increases with additional processing of the fiber. Yarn sells for more than roving and roving for more than raw fleece. Finished garments or products such as blankets, pillows, and throws bring the highest market values and are widely considered to rival the world's most luxurious products. Alpaca products are in high demand. Every bit of fiber has a profitable use. Alpaca breeding provides income. A herd sire breed can bring $500 - $2500, depending on the qualities of the male. Agisting [boarding] alpacas owned by others brings a steady income, with the alpaca's owner being responsible for any veterinary bills or breeding fees. Alpaca manure can be sold to gardeners to use as an organic soil amendment and fertilizer. 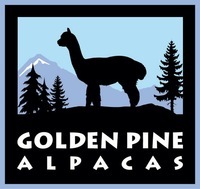 See Golden Pine Alpacas Paca Poo Gold information sheet. Alpaca farms enjoy many tax benefits - from depreciation of breeding stock, barns, and fences to deductions for farm-related expenses. A farm must establish that it is actively in the business for profit and not raising alpacas as a hobby. If alpacas are actively raised for profit, expenses from the venture can be written off against your income. This includes feed, fertilizer, and vet bills. These expenses can shelter current cash flow from tax. Alpacas are fully insurable against theft and mortality. The Farmer’s Tax Guide, publication #25, explains how the federal tax laws apply to farming. This useful guide is available through your local IRS office or online.